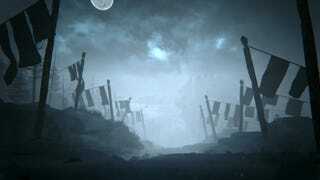 The idea of a horror game narrated by Sean Bean might sound schlocky, but Kholat looks good. Yep, that’s Sean Bean alright. He definitely sounds like he’s ali— oh wait, he’s narrating his own death. Gotcha. Dead before the thing’s even out this time. Dude cannot catch a break. Kholat is coming to Steam on June 9th, and I will almost certainly play it from my bedroom that becomes suddenly and mysteriously cold often enough that I suspect it’s haunted by vengeful (and passive-aggressive) ghosts of Russian hikers. I’ll probably stream it or something. I’ll let you know what I think, and you can let me know if the ghosts briefly appear on camera, gasping through frozen lungs for long-deceased loved ones or, like, a really warm blanket.